Source: Dragonfairy Press – I received this in exchange for an honest review. After crawling her way out of Hell, Six is ready to cast aside her angel wings and all the responsibilities that come with them. But Earth is not as peaceful as she imagined it. Demons, dark angels, and other hell-beasties escaped before her, and they’re not as content as she is to live a quiet life on Earth. A fellow angel who escaped Hell with her commits a series of soul-murders, destroying human souls so they can’t go to the afterlife. Although Six has conflicting feelings about humans, she goes after the other angel to keep their escape a secret from the one she fears most. I was provided a copy of this book by Dragonfairy Press in exchange for an honest review. 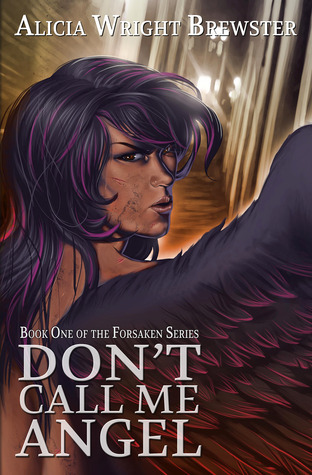 Don’t Call Me Angel is a fairly fast paced and descriptive glimpse into a great story. I say glimpse because I really wish it were longer, both because I think it would benefit from another 50 or so pages but because the ending did leave me wanting more. The writing is crisp, very descriptive, and enjoyable to read which is the main reason I agreed to review this…because as some of you may know, me and angels don’t get a long despite my love for them. But the writing style really won me over, and the story definitely has my interest piqued. The beginning is fantastic and I enjoyed the difference in Hell from what I normally picture. Instead of just a place where are the bad people go, you also have demons and fallen angels running around making things worse.I also like the empathy factor that Brewster added, which surprised me since I’m more of a fan of the cold solider angels. I found that the empathy factor gave basis to the more “human” reactions that would irritate me otherwise. Also, there are illustrations at the end of some of the chapters which are fantastic. I did have a bit of issue with some of the characters though. 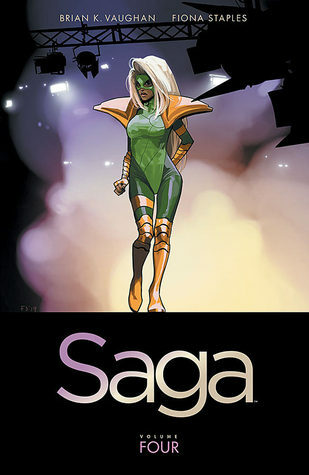 Six is pretty enjoyable and for the most part I didn’t mind her, she’s a tough girl even with her minor flaws and weaknesses and I liked her outlook on Earth. Alden however, really irked me. I couldn’t really connect with his character at any point, so his actions just came off kind of odd to me. I think I just needed to know more about him personally, but it made me curious about how much the main character actually knew him as well. I’m also pretty curious as to how these two became allies, some of it is explained but not the actual history of the two. I also am really curious about Luke and his relationship to Six. I had my suspicions when he was first mentioned, which turned out to be correct, but Brewster added in a clever little gem that made me want more on them. Overall this is a promising start to a new Urban Fantasy series and I will definitely read the second one when it comes out. This entry was posted in Book Reviews (2012) and tagged 3 stars, fantasy, paranormal, review. Bookmark the permalink.